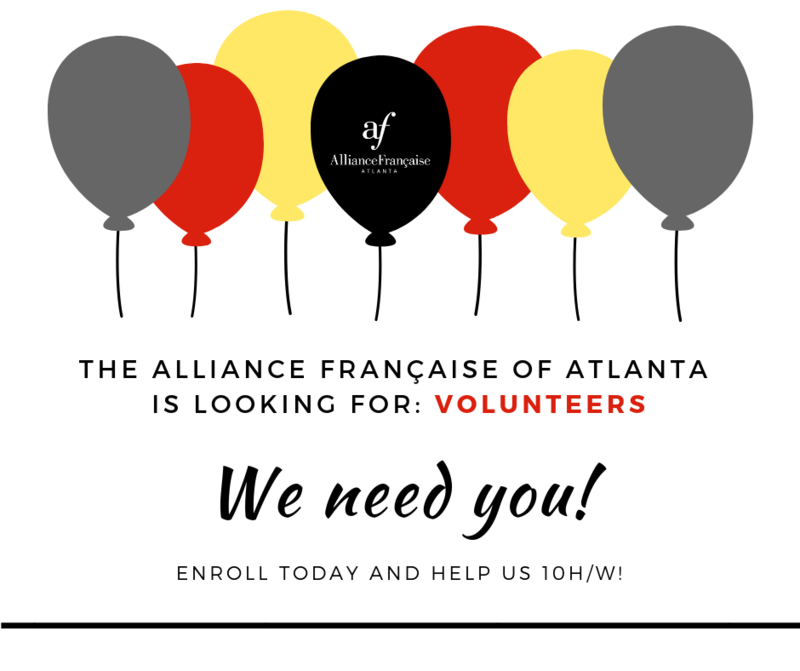 Why volunteer at the Alliance Française of Atlanta ? Volunteering with us is an opportunity to engage yourself in the local francophone community and with others who share the same interests as you. You will not only provide valuable to support the staff, but also serve as ambassadors oh the Alliance and get a chance to promote the Francophone culture.Our dedicated team of volunteers helps the Alliance Française d’Atlanta ensure the efficiency and quality of the programs and services offered by the organization. Volunteers at the Alliance Française d’Atlanta work with all departments (Marketing, Communication, Education, Development. Outreach and Office Management). Interested in becoming a volunteer? Please download our application form and send it to info@afatl.com.